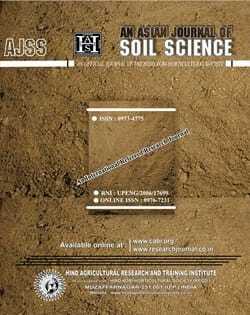 The Speciality of Journal [An Asian Journal of Soil Science (AJSS)] that it is an International Journal publication in the field of Soil Science and Agricultural Chemistry. Our high qualities International Journal are published with highly qualified Reviewers, Scholarly Scientists to ensure the originality, relevance, and readability. The International Journal published by us, aims to contribute to the constant scientific research and training in the field of Soil Science and Agricultural Chemistry.